Crecia-Kasuga recently started up a Valmet Advantage Tissue machine equipped with the first Advantage ViscoNip press in Japan. The new production line has an annual production capacity of 36,000 tonnes. Aug. 28, 2018 - Crecia-Kasuga Co., Ltd has successfully started up a new tissue line, jointly delivered by Valmet and Kawanoe Zoki Co., Ltd., at the company's new production facility in Fuji, Japan. The inauguration ceremony was held during summer and the line is now in full operation producing tissue products for the Japanese consumer market. "We at Valmet appreciate the fruitful cooperation between the three companies. This is the first tissue machine equipped with an Advantage ViscoNip press in Japan,” said Ingmar Andersson, VP Asia Pacific Sales, Tissue Mills business unit, Valmet. Mr. Hirofumi Narita, President, Crecia-Kasuga, added, "We are very impressed about the new tissue machine which combines the latest technology with joint know-how of three companies. It started successfully on schedule and the performance exceeds our expectations. We appreciate the support from Valmet and Kawanoe Zoki." 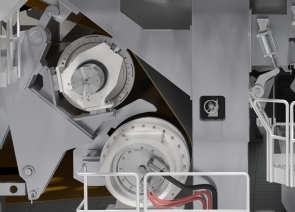 Valmet's delivery included an Advantage DCT 135HS machine with Valmet's key technologies OptiFlo Headbox, Advantage ViscoNip press, AirCap hood and steel Yankee dryer. Manufacturing of other equipment, site assembly and installation services were performed by Kawanoe Zoki. The new line has an annual production capacity of 36,000 tonnes.